Gas Innovations will be exhibiting in the State of Texas booth at the OTC conference May 6-9 NRG Park Houston TX. 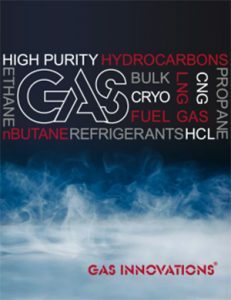 Gas Innovations will feature it’s global LNG Refrigerant capabilities supplying High Purity Hydrocarbons (Ethane, Ethylene, Propane, Isobutane, product packaging and distribution capabilities. Global LNG production is set to rise by 11% this year, rising to 354 million tons this year and to 384 million tons in 2020. Download the entire article here. AIWD CONVENTION Austin TX April 14-17 2019 IWDC SALES & PURCHASING CONVENTION Pittsburgh PA May 14-16 GAWDA SPRING MANAGEMENT CONFERENCE Minneapolis MN May 4-6 GAWDA ANNUAL CONVENTION Washington DC September 28 -October 1 Gas Innovations will be exhibiting at these conventions. Gastech Exhibition & Conference September 17-19 Houston TX This is the premier event for the world’s gas, LNG & Energy Industry. At the forefront of the global energy value chain. Gastech hosts major NOC’s global utility companies, E & P companies, EPC contractors, shipbuilders, pipeline and petrochemical companies.